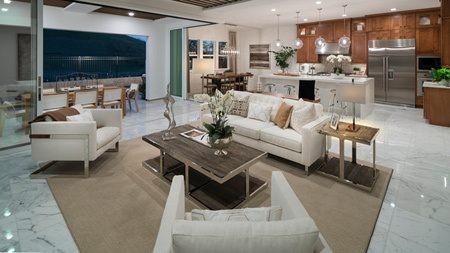 Contemporary design with deluxe touches. The Maywood's delightful covered porch, entryway, foyer, and charming curved staircase flow into the bright great room and dining area, the eye traveling to the sliding glass doors to the vistas beyond. 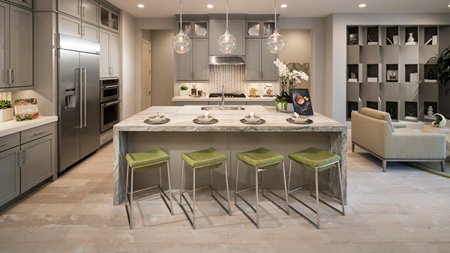 The adjacent gourmet kitchen is well-equipped, featuring a large center island with breakfast bar for casual dining, a desirable walk-in pantry, and ample counter and cabinet space. 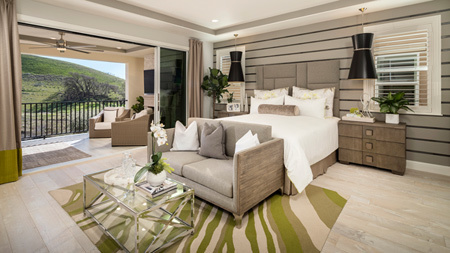 The magnificent master bedroom is complete with an enormous walk-in closet and luxurious master bath with dual vanities, large soaker tub, luxe shower, and private water closet. 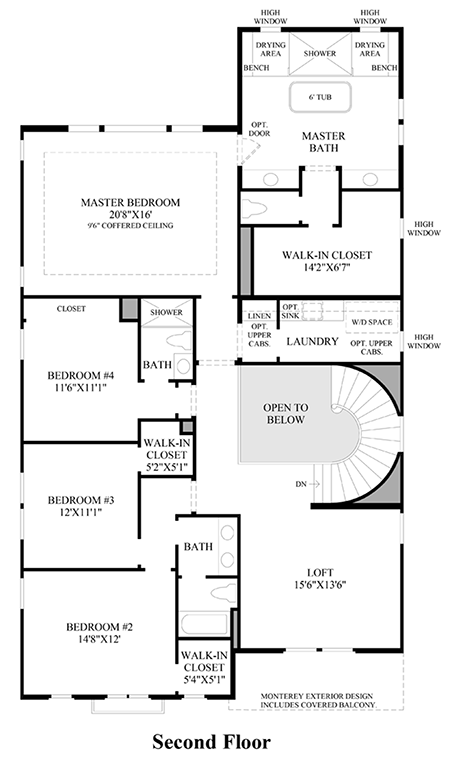 The secondary bedrooms each feature access to a hall bath and roomy closets, and are adjacent to a centrally-located laundry room and a versatile loft perfect as a secondary living space. 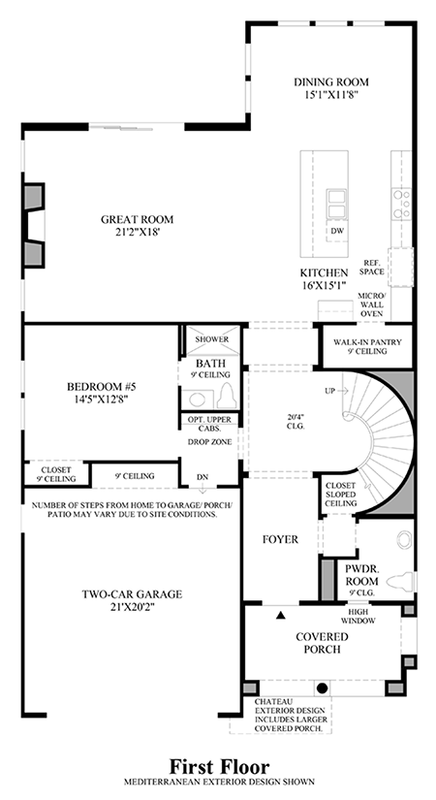 Additional highlights include a desirable first floor bedroom with private bath, and a convenient powder room. 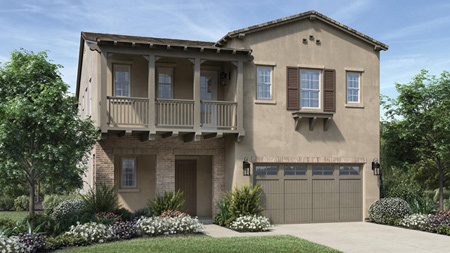 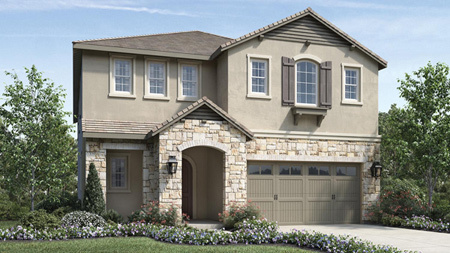 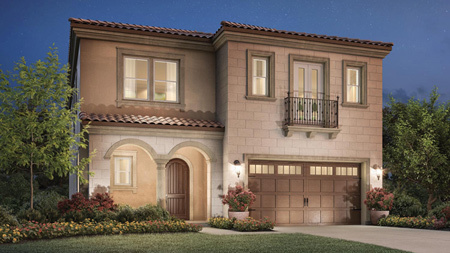 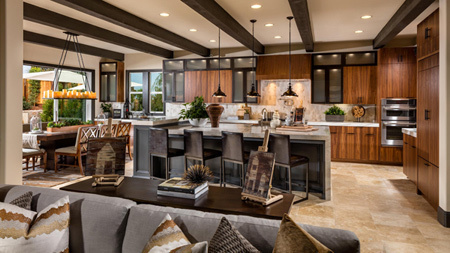 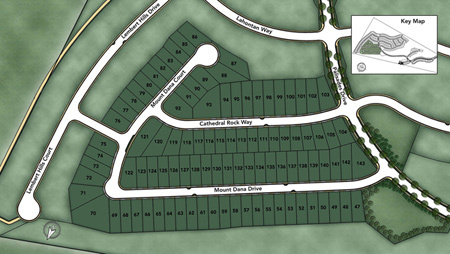 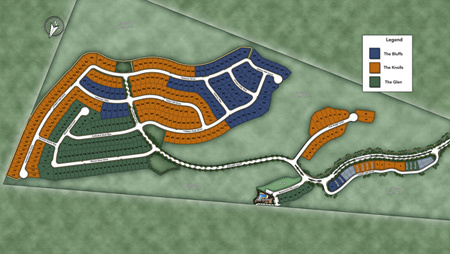 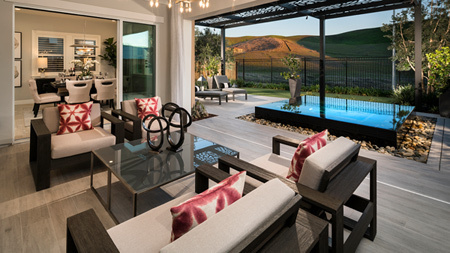 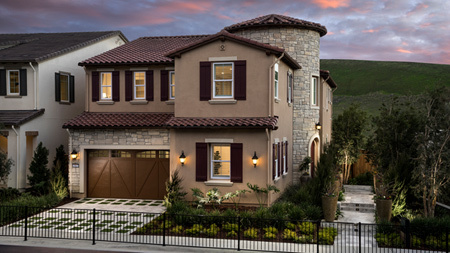 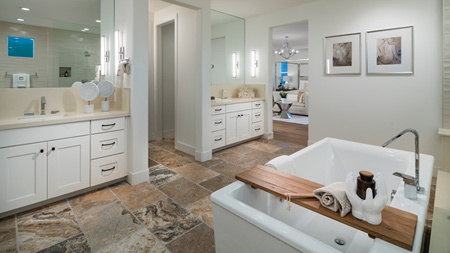 To receive more information about the Maywood at Tassajara Hills, please call 844-790-5263.